A 11 inches tall Downhill skiing or Ski trophy . Trophy comes with up to 3 lines of free engraving on burnished brass name plate. 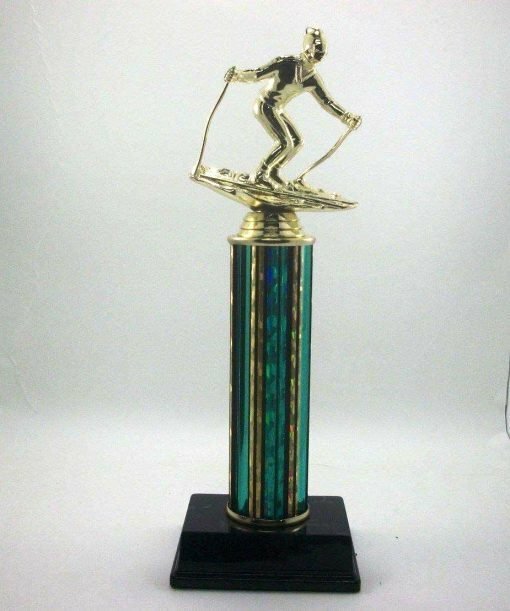 Great looking 11″ tall downhill skiing , ski trophy . Trophy comes with up to 3 lines of free engraving on burnished brass name plate.